Most of the Islamic Banks operate on Bai- Murabaha, Bai Muazzal, Bai- Salam, Istisna, Hire Purchase/ Leasing mode of Investment i.e. Islamic Banks always prefer to run on markup/ guaranteed profit basis having Sharia coverage. For this reason some times the conventional Economists and General people fail to understand the real difference between Islamic Banking and conventional Banking. 5. e) There is shortage of skilled professionals. The problem of forward contact/booking of foreign currency. The value of US Dollars ($), Pound Sterling, Euro and others are not fixed in Pakistan, they are fluctuating from time to time Most of our imports and exports are made in USD and USD being a strong currency always moves upward and the exporters are in better position than the importer in our country. In Pakistan Forward Booking is required to check the exchange fluctuation for import of heavy/project Machineries where it take long time say one year or six months to produce the same. But due to the restrictions of Sharia we cannot cover the risk of Exchange fluctuation by forward contract as Forward Booking is not permitted by Sharia. As per Sharia, currency, transaction is to be made under certain terms and conditions laid down for “sarf” by Sharia, such as spot possession of both the currencies by both the parties which is not available in forward Booking. It is also prohibited to deal in the forward money market even if the purpose is hedging to avoid loss of profit on a particular transaction effected in a currency whose value is expected to be declined. This problem requires a solution by Sharia experts. This is another problem of Islamic Bank where the exporters immediately after export of the goods approach to the bank for fund before maturity of the bills to meet their daily needs. Here the Bank has to deploy billions of PKR each year but how and on what mode of investment ? In Pakistan export refinance facility is available both to conventional and Islamic side but certain problems like risk management and liquidity issues with difference in markups of Islamic banks and conventional side exist. The first problem is that despite the growth of Islamic banks over the last 30 years, many people in the Muslim and non-Muslim world do not understand what Islamic banking actually is. The basic principle is clear, that it is contrary to Islamic law to make money out of money and that wealth should accumulate from trade and ownership of real assets. However, there does not appear to be a single definition of what is or not an Islamic-banking product; or there is not a single definition of Islamic banking. A major issue here is that it is the Sharia Councils or Boards at individual Islamic banks that actually define what is and what not Islamic banking is, and what is and what is not the acceptable way to do business, which in turn can complicate assessment of risk for both the bank and its customer. More generally, the uncertainty over what is, or is not, an Islamic product has so far prevented standardization. This is difficult for regulators as they like to know exactly what it is they are authorizing. It is also an added burden on the banks that have to educate customers in new markets. The behavior of economic agents in any country is determined partly by past experience and present constraints. The Islamic banks are still growing in experience in many countries. Regarding constraints, Islamic banks in different countries do not freely choose arrangements, which best suit, their need. As a result, their activities are not demand-oriented and do not react flexibly to structural shifts in the economic setting as well as to changes in preferences It is known to the bank management that a certain portion of the short-term fund is normally not withdrawn at maturity; these funds are used for medium or long-term financing. However, a precondition for this maturity transformation is that the bank be able to obtain liquidity from external sources in case or unexpected withdrawals. Islamic banks, without having an interest-free Islamic money and capital market, have no adequate instruments to meet this pre-condition for effective maturity transformation. On the other hand, Islamic banks can enhance term transformation if there is an interest-free bond market or a secondary market for Islamic financial papers. Adequate financial mechanism still has to be developed, without which financial intermediation, especially the risk and maturity transformation, is not performed properly. 2. b) The PLS or equity account, in which depositors are treated exactly as if they were shareholders in the bank. There is no guaranteed rate of return or nominal value of the share. In non-Muslim counties (i.e., the countries with less than 50% Muslim population) the central banks are very stringent in granting licenses for Islamic banks to operate. In order to be established in those countries Islamic banks must also meet the additional requirements of other government and non-government authorities. (So, apart from legal constraints there are economic measures that result operations of Islamic banks in the non-Muslim world difficult). In Muslim countries also they face economic restrictions. Besides funding, acceptable investment outlets is a major challenge for Islamic financial institutions. Many Islamic banks lack liquidity instruments such as treasury bills and other marketable securities, which could be utilized either to cover liquidity shortages or to manage excess liquidity. This problem is aggravated since many Islamic banks work under operational procedures different from those of the central banks; the resulting non-compatibility prevents the central banks from controlling or giving support to Islamic banks if a liquidity gap should occur. So the issue of liquidity management must come under active discussion and scrutiny by the authorities involved is Islamic banking. Many Islamic banks do not have the diversity of products essential to satisfy the growing need of their clients. The importance of using proper advanced technology in upgrading the acceptability of a product and diversifying its application cannot be over emphasized. Given the potentiality of advanced technology, Islamic banks must have to come to terms with rapid changes in technology, and redesign the management and decision-making structures and, above, all introduce modern technology in its operations. Many Islamic banks also lack the necessary expertise and institutional capacity for Research and Development (R & D) that is not only necessary for the realization of their full potential, but also for its very survival in this age of fierce competition, sophisticated markets and an informed public. Islamic banking cannot but stagnate and wither without dynamic and ongoing programmes. In addition, Islamic banks have so far not used the media appropriately. Even the Muslims are not very much aware that the Islamic banking is being practiced in the world. Islamic banks have not ever used an effective media to publicize their activities. The authorities concerned in Islamic banks should address these issues on a priority basis. The need for professional bankers or managers for Islamic banks cannot be over emphasized. Some banks are currently run by direct involvement of the owner himself, or by managers who have not had much exposure to Islamic banking activities, nor are conversant with conventional banking methods. Consequently, many Islamic banks are not able to face challenges and stiff competition. There is a need to institute professionalism in banking practice to enhance management capacity by competent bankers committed to their profession. Because, the professionals working in Islamic banking system have to face bigger challenge, as they must have a better understanding of industry, technology and the management of the business venture they entrust to their clients. They also have to understand the moral and religious implications of their investments with the business ventures. There is also a need for banking professionals to be properly trained in Islamic banking and finance. Most banks’ professionals have been trained in conventional economics. They lack the requisite vision and conviction about the efficiency of the Islamic banking. Bankers, due to the nature of their jobs have to be pragmatic or application-oriented. There is and will be tendency in the bankers practicing in Islamic banks to mould or modify the Islamic principles to suit the requirement for transactions at hand. Additionally, being immersed in the travails of day to day banking, they find little time or inclination to do any research, which can make any substantial contribution to the Islamic banking. Islamic Scholars active in researching Islamic Banking and finance, on the other hand, typically have a normative approach, i.e. they are more concerned with what ought to be. A very few of them are knowledgeable about banking or the needs of the customers. The prospect of Islamic Banking is very bright. Muslim people everywhere want Islamic Banking. Pakistan, to give an example, the network of Islamic banking industry consisted of 21 Islamic banking institutions; 5 full-fledged Islamic banks and 16 conventional banks having standalone Islamic banking branches by end December, 2017. The aggregate number of Islamic banking branches have reached to 2,581 branches (spread across 111 districts) by end December,2017. The position may not be same in all countries. But if Islamic Banking succeeds in any country, the positions will be the same in every Muslim country. This means, that first Islamic Bank in any country should be well managed and successful so that people have faith in this system. 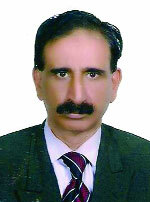 Established Islamic Banks should co-operate by lending competent officials in setting up new Islamic Banks. The problems mentioned are not insurmountable. Most of them can be solved with more research and dedicated efforts. IDB, OIC Fiqh Academy, International Islamic Banking organizations and individual Islamic banks should put more resources in research in Islamic Banking, Finance and Economic issues. Cooperation of Central Banks and the Governments will be needed in some areas. Central Advisory Services for Islamic Banking and Finance with its website (islamicfinancecaif.com) in collaboration with Editors Club (Think Tank of Media in Pakistan) is pursuing its efforts on the same lines.